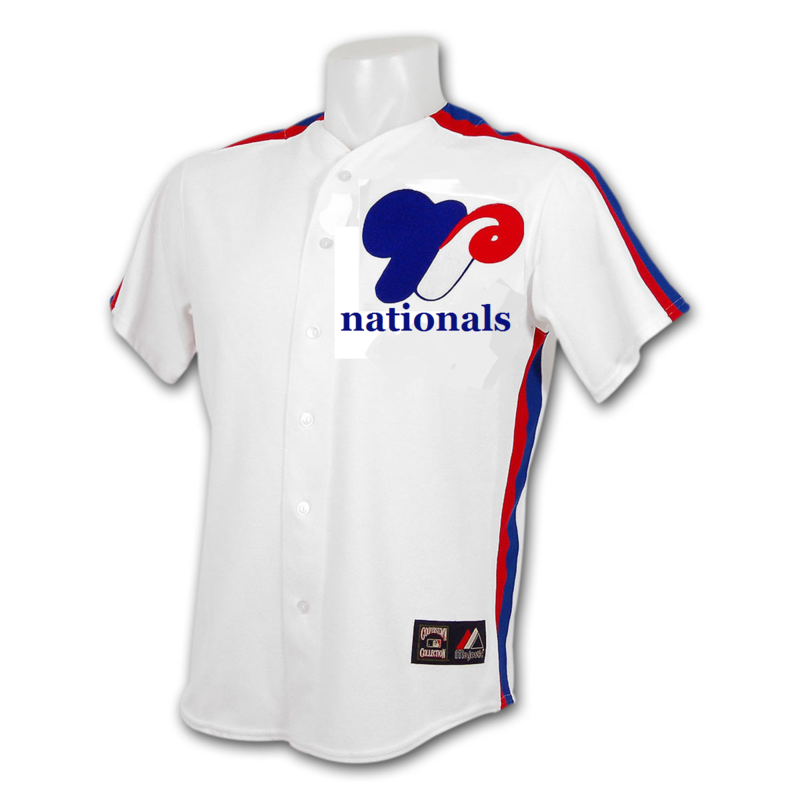 I submitted an idea, to have an Expos throwback night for their contest (still waiting for Rizzo’s call). I’d like to flesh it out a bit more, if only I had a venue to do so… oh, wait, I’m a blogger! This is a blog! Perfect… Starting off, I’d like to say I don’t really consider the Expos and the Nats the same “franchise” although I begrudgingly acknowledge that they are. If you ask me who the franchise leader in WAR is, I’ll say Ryan Zimmerman, not Gary Carter. That being said, I fully believe that the story of the Nats is incomplete without at least mentioning the Expos. They were the basis for this franchise, even if they were mismanaged and essentially gutted by MLB before moving. And heck, maybe my lack of connection to that old team is the Nats fault. They’ve made very little effort to connect the two teams, and it’s worth at least exploring the idea. 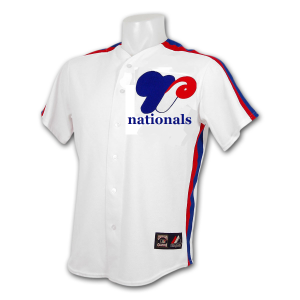 First of all, the Nats need to wear Expos jerseys. And I’m very serious about the hats. 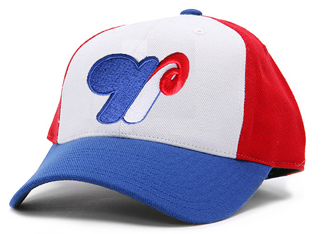 Wear Expos jerseys from any era, but wear the hat with the “M” turned upside-down to look like a “W”. 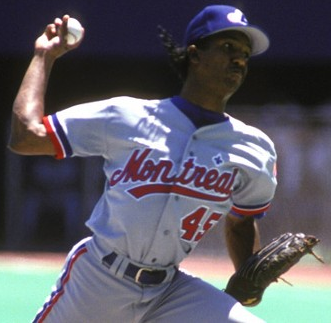 In fact, if they wore the Expos home uniforms from 1980-1991, they could have the upside-down M patch on their chest, much like their current home jerseys. While just turning the M upside-down works, I’m ok with a more stylized version, with some real work to it. Keep the shape, for the most part, but go ahead and play with the colors. The shapes there could be conducive to the capital dome or the Washington Monument, it’s worth a try (but seriously guys, let’s not go crazy, if you get that part wrong it could look really bad). And they can get rid of the 80s racing stripe (or keep it, if it looks retro, I guess). I’m sure if they made these jerseys they’d sell them. All team seem to be looking for more jerseys to sell, why not this do this? It’s a connection to the past, done in a unique way, and could work out really well on that front. And finally, you have the bridge players – players who immigrated with the team and spent some time as effective Nationals players, too. You’ll notice I only have 4 guys in that final category – that’s because my 5th bridge player deserves some special attention. That man is, of course, Ian Desmond. The Last Expo, as he is sometimes called, is the last player in the Washington organization that was part of the Montreal organization. Unless they end up with Cliff Lee or Brandon Phillips some day, he will most likely be the last player to have played at any level for both franchises. That deserves some special recognition. @nationalsreview @45PedroMartinez @TimRaines30 Love idea, but for the record I don't dislike Nats at all. They're like any other team to me. My bad. Sorry, Jonah. Still, as a representative of the Montreal fanbase, he is perhaps the most well-known in the baseball community, so he’d be a great guest. It could be fun to invite him as a representative of Montreal who is finally willing to bury the hatchet. If he’s willing to bury the hatchet. One more thing worth mentioning – there is actually a great time to do this. In July of 2015, the Hall of Fame will be inducting a new class, and aside from Bonds and Clemens, the top two guys by WAR on the ballot will be two of the greatest pitchers of all time, who both happen to be former Expos – Randy Johnson and Pedro Martinez. Now, Johnson probably doesn’t deserve much attention from the team (other than awe), but the Nats could certainly use this promotion to honor Pedro’s presumed induction (and honoring him wouldn’t be terrible even if he didn’t get voted in next year). Who knows, maybe it will also be the year Tim Raines finally gets in, too. The timing could be quite fortuitous to start associated the two franchises, er… the two teams. There should obviously be a giveaway, since giveaways are the best. The aforementioned hat would be my choice – if it became popular it could help drive the sales of the jersey. Of course, if Pedro (or Raines) makes it into the Hall, then perhaps the giveaways should be centered around them. Some sort of bobble head, or jersey, could be a good idea. If just one makes it, you could give away an upside-down M t-shirt with their name on the back. Something should also be done to honor the beautiful city of Montreal that so willingly gave us the team (by never attending games). A few key food and beverage choices around the park for the day would be a fun way to add to the atmosphere. 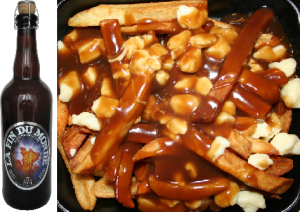 An option to get poutine at a few places where you can purchase french fries wouldn’t be a bad thing. And maybe get a big shipment of Unibroue, just for the day. I’ll be happy to take any leftovers off their hands. I think that about does it. Am I missing anything super-Expos-y or French Canadian? Let me know!